What an amazing weekend..and I know this week is going to be just as Marvelous! 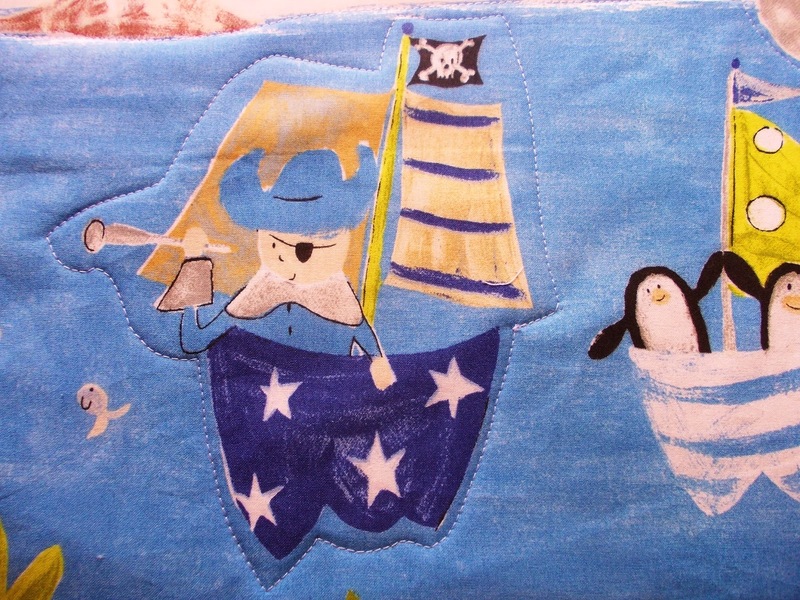 Well, first I made a quilted Swashbucking Pirate wall hanging...look at me, quilting like a big girl! 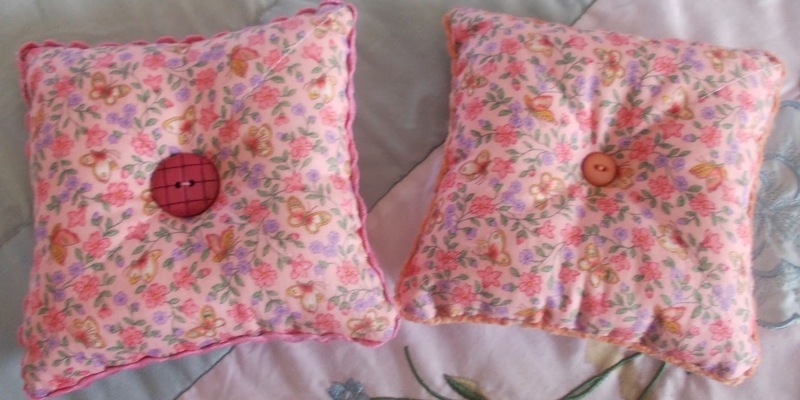 Then I found two quilted squares left over from the BC Charity quilt...so they became two super padded pin cushions! Yum! Three new things to add to the fund raising pile! Trims are from The Victorian Motto Sampler Shoppe. 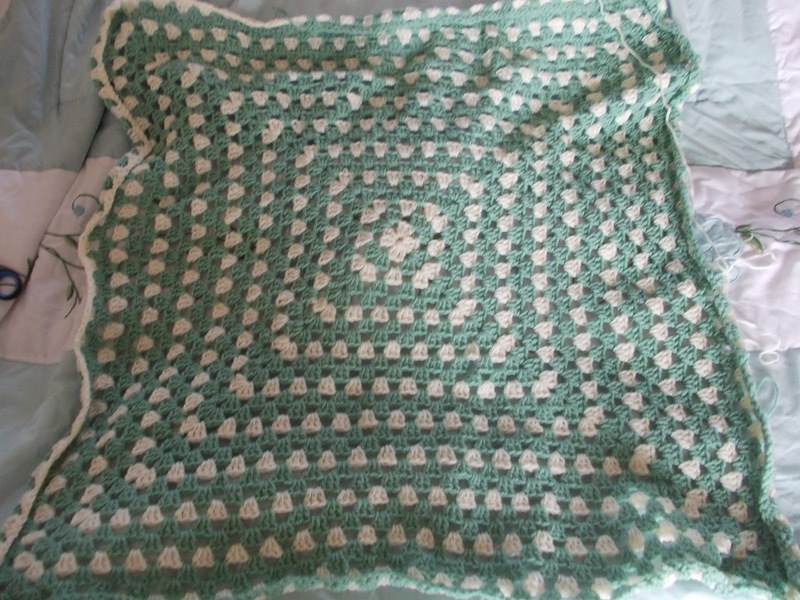 Creative crochet using a lovely pastle - sage green Very restful on tired eyes after the excitement of pirates, whales and bright pink pincushions! 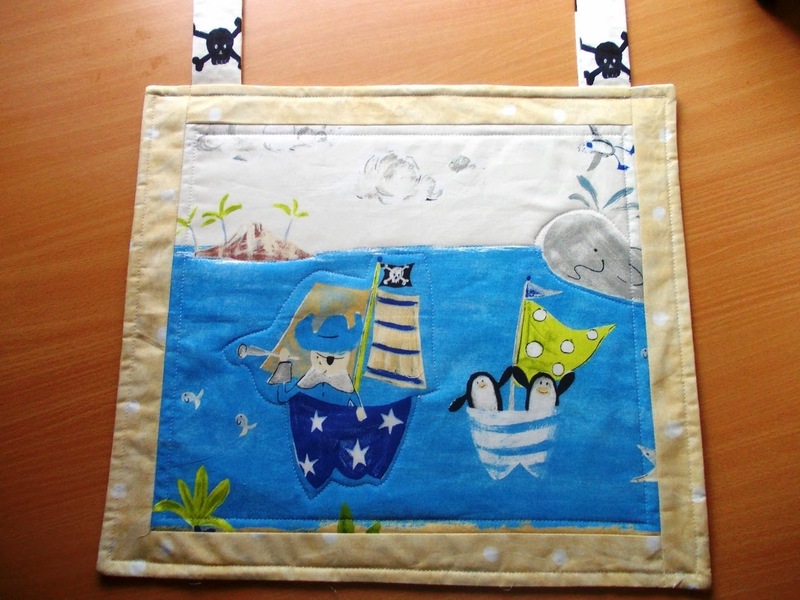 There has been a new start on a cross stitch project but as there is only border, I will leave you in suspense! Mother's day was wonderful though of course I miss my two eldest children so very much. My daughter sent me the most gorgeous flowers. So what is on for this week? 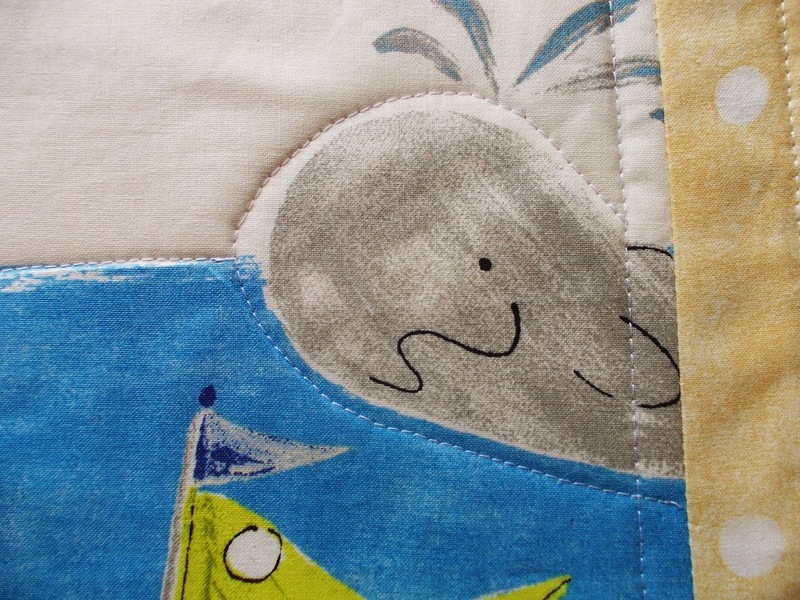 Aha, well I am determined to have a lovely, productive week so will have lots to show you soon! My goodness! I am just smiling over here. Such a happy post! How productive you were! Yay! And those flowers are very lovely. Happy Mother's Day. Love love and love what you have been up to!! 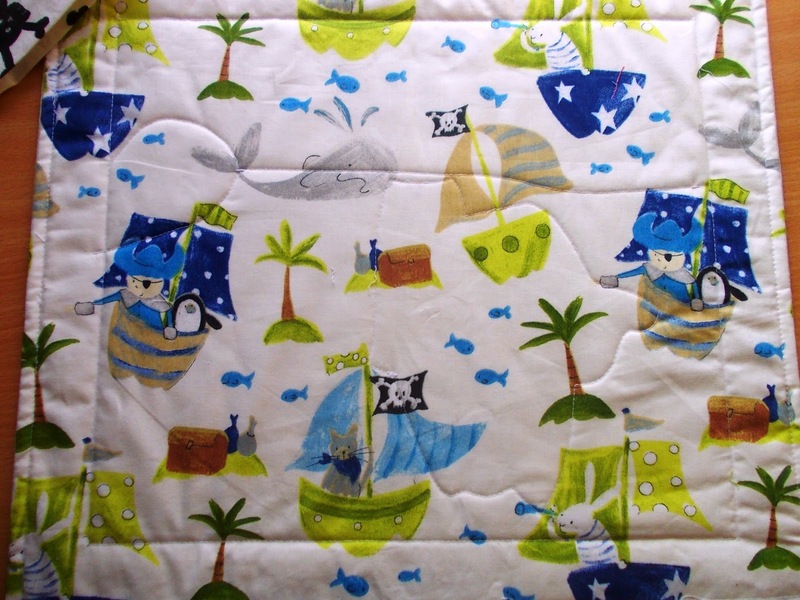 Your quilt is really fun to look at and I bet you had a lot of fun making it. 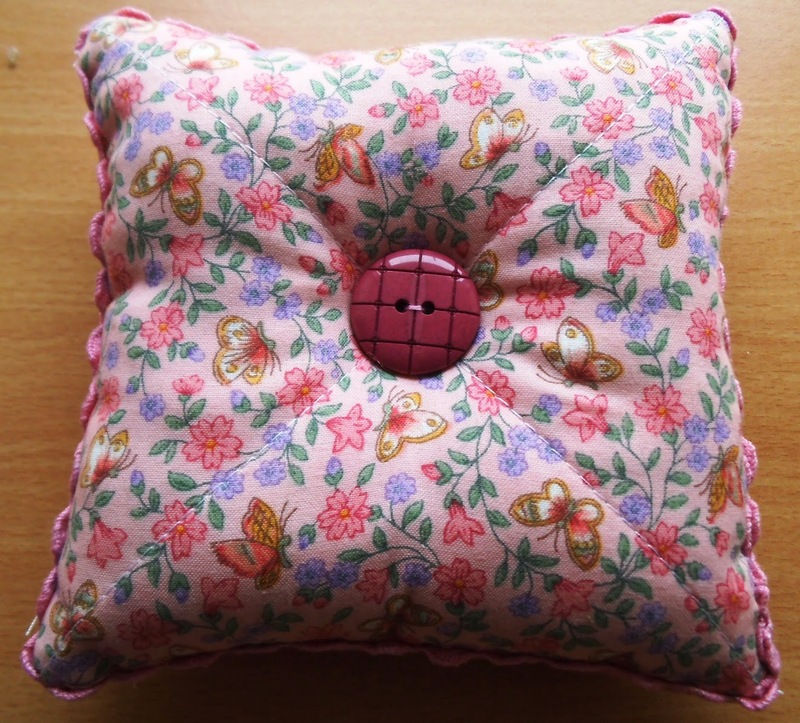 Such a great idea to make your squares into pin cushions.. they are indeed very pretty. I like the added pretty touch with the button and trim. Your crotchet with pastel colors is awesome! 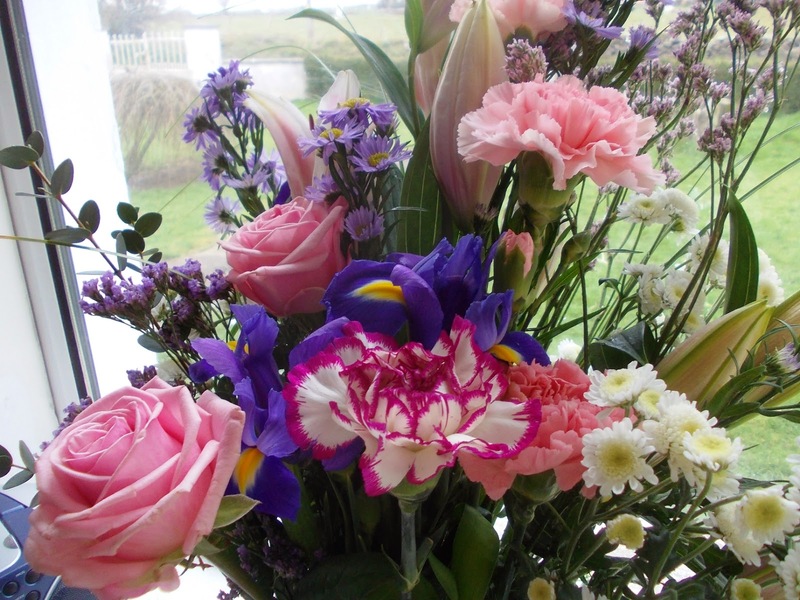 And ooh yes Happy belated Mothers Day for yesterday :) You have beautiful flowers. Goodness what on earth are you going to get up to this week???!! Looking forward to seeing that! Woohoo! Looks like it was a wonderful weekend! 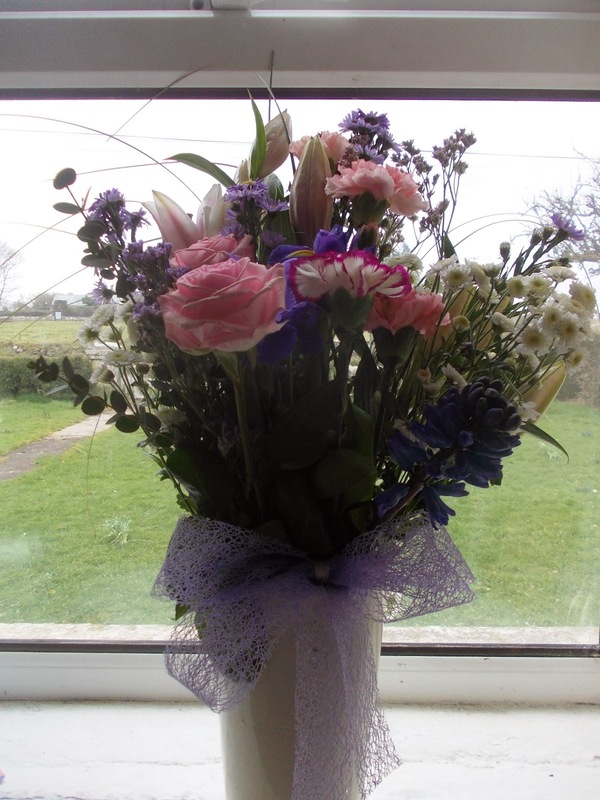 Everything looks beautiful and a lovely flowers from your daughter.